Garuda, a mythical beast that is half bird and half man, is the sworn enemy of snakes. Like the hapless serpent ensnared in Garuda's powerful beak in this example, no snake escapes his grip. 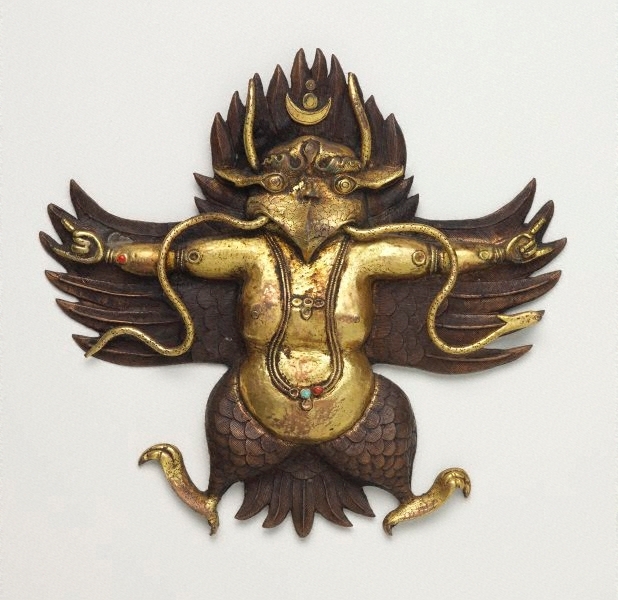 In Nepal, Garuda protects from all danger and is a popular symbol of victory and authority. A small lug on the back suggests that this sculpture originally would have been part of either the throne or mandorla of a deity.